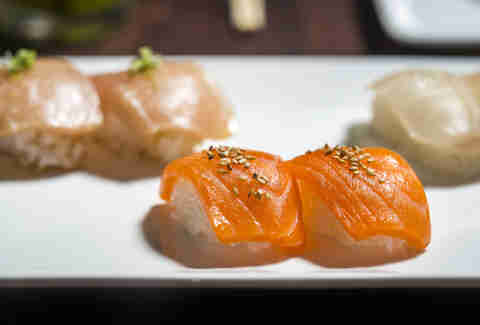 There's no food group that gets Angelenos more worked up than sushi; everyone has an opinion that is TOTALLY right about the best place in town to eat raw fish on rice, which is why we've risked Jeremy Piven-levels of mercury poisoning to bring you the definitive list of the best sushi in town, using both price and quality as factors (and, yes, we’ve tried Go’s Mart. It's overrated). Sushi Gen usually gets all the Little Tokyo love, but we’re firm believers that time can play a factor in quality -- and Gen takes an eternity thanks to that massive, unrelenting line outside. 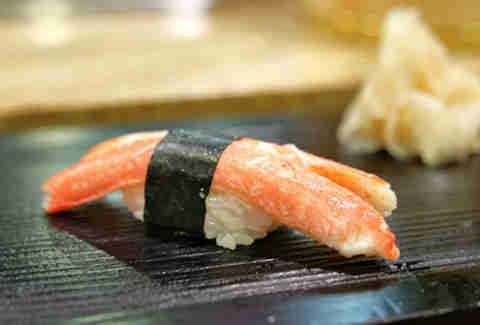 Hama, however, is usually a pretty quick seat, and the traditional sushi (and baked yellowtail collar!) is second to none. Just make sure you ask what’s off-menu... and then ask again. Sometimes they don’t believe you want to eat it. You do. This nondescript Little Osaka hole in the wall has been a longtime favorite, not just because its fish is unbelievably fresh, but the prices are, too: at lunch, for under $20, you can get a plateful of nigiri and rolls, which means even if you’re hungry for more you can double up the order for less money than it would usually cost for fish of this quality. It’s almost become a cliche to claim Sugarfish as some of the best sushi in LA, but it’s true: when "Sushi Nazi" Nozawa closed his namesake restaurant on Ventura and launched the chain, it was a genius move -- his customers now get to enjoy signature dishes like his sauce-soaked tuna sashimi and the crazy-delicious blue crab hand roll, stuffed with perfectly warm rice, and he gets to lay in a pool of money somewhere sipping on sake, and all of LA’s the better for it. Yeah, it’s a wallet-buster. But it still may be dollar-for-dollar the best sushi in town. Master Chef Hiro came to LA from Japan with the goal of recreating as high-quality an experience as he had delivered in Tokyo, and his fish (from brilliantly briny mackerel to melt-in-your-mouth salmon) is exceptional -- and that’s not even mentioning his rice, which is far more al dente than you’ve been grown to expect, and that much more flavorful for it. Located in a converted house on Ventura Blvd (of course), this sushi-war survivor’s been holding it down for decades, which means it’s seen trends come and go, and the menu’s all the better for it: current on-trend dishes like yellowtail sashimi with jalapeño are among the best versions in the city, their classic nigiri is always flavorful, and they’ve got creative rolls that are smart rather than just stuffed with sauce. 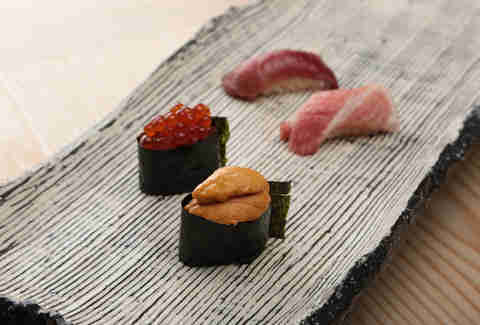 What, you thought we’d publish a best-sushi list without one of Ike-san’s restaurants on it? Never. The namesake of the also-excellent Sushi Ike in Hollywood is now found behind the bar here, which is what pushes it to elite status: his take on his signature seared salmon right away and grilled octopus are always worth getting from the man himself. Piece-by-piece, Sasabune has always been excellent. 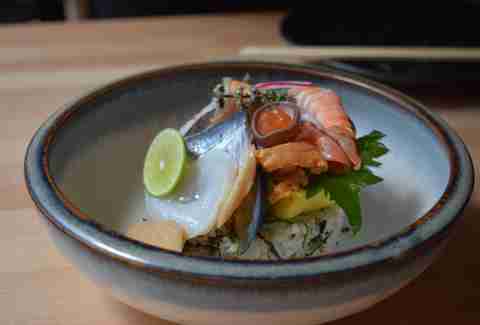 But keeping price in mind, the bang-for-your-buck is the omakase, which -- for $50 -- offers a game-changing, gut-filling menu with fish on par with any of the fancier places (Nozawa Bar, Zo, Matsuhisa, etc.) that'll charge you at least three times as much. It’s not a sushi restaurant, per-se, and reservations are nearly impossible to get, but this beautiful set-menu-only restaurant (which blew up thanks to both impeccable food and a featured episode of Netflix’s hit series Chef’s Table) does include a sushi course or two; every bite’s immaculate, naturally, and, when you’ll leave, you’ll say a little prayer that someday chef Niki Nakayama actually does an all-sushi place of her own. Wait, Sugarfish is on this list already -- does it really deserve two spots? 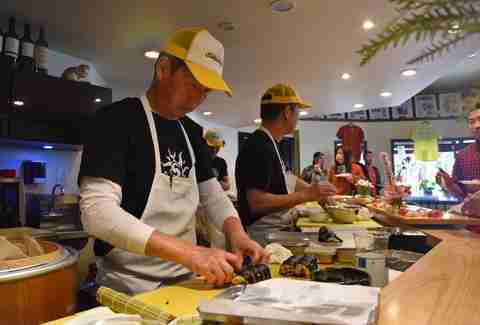 Yes, it does: Not only is the group's handroll-only mini-chain KazuNori one of the best sushi joints in LA, but it’s also one of the most genius concepts in town. This extremely efficient/affordable lunch, dinner, and takeout spot will set you back no more than $20 and (if the line’s short) 20 minutes. Brilliant. For a part of town that’s got such a huge Japanese population, it’s sort of surprising there aren’t more top-level sushi spots (that said, you can’t throw a baseball without amazing soba, or ramen, or izakaya food). But Nozomi’s a local favorite, and for good reason: they only serve ultra-fresh, traditional seafood, including uni straight from Santa Barbara that’s submerged in salt to maintain its flavor and a ton of fish straight from Japan, presented with unusual toppings, marinades, and infusions made with killer technique that take it from a neighborhood restaurant to one worth traveling for. Tucked in the corner of a strip mall (natch) is this beloved roll-zone, as noted for its celebrity clientele as it is for its food. That's a shame: it’s consistently great, with the rolls its known for not just over-the-top but smartly over-the-top (The Lourd: spicy tuna. Avocado. Tempura flakes. Spicy rice. Mango. Jalapeño sauce. Tell me that doesn’t sound good.) 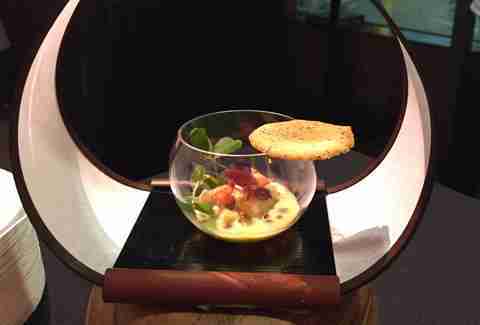 and a chef who takes his omakase very, very seriously. Is this conveyor-belt sushi place the absolute best in town? No, but it is by far the most fun: Not only is there a game wherein every time you eat a certain amount of plates you get a prize (thanks for the keychain, Kula! ), but when you get something to-order it comes via a SECOND conveyor belt, at approximately a billion miles per hour. 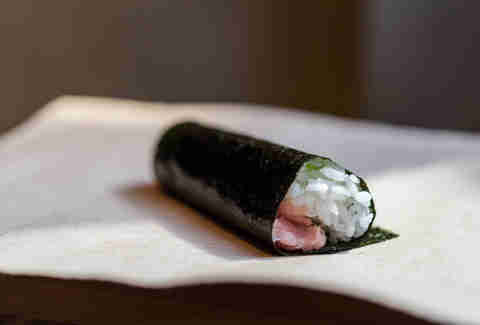 When you do that -- especially for handrolls -- the quality level is high, and the price is moderate. Wins, as far as the eye can see. The chef at Shunji was one of the first three chefs at Matsuhisa, the LA game-changer that would be on this list if it wasn’t such a cliché for it to be on this list. 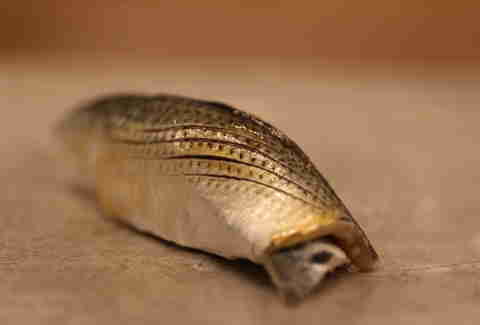 That dedication to quality comes through in every bite at Shunji, but the real deal is its lunch special, hard stop: For $40, you get the same 12 pieces of fish as you would at dinner at a third of the price. Now you know. 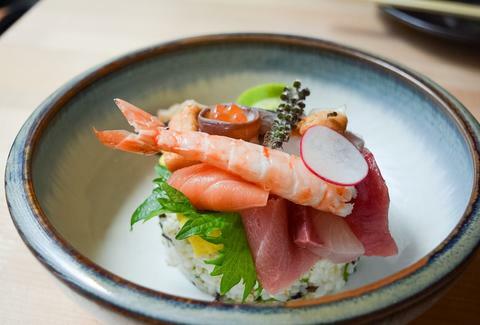 ©Ocean Photo Studio / WANANN, Inc.
Another lunch-deal favorite, this newer Sawtelle spot (from the people who brought you Tsujita Ramen, naturally) does a $18 chirashi bowl that’s packed with high-end goodness (salmon eggs! Tamago!). The catch is that only 15 are made each day, so get there right as it opens -- otherwise, you’ll have to dig far, far deeper into your wallet. A longtime winner for the price-conscious, this specialty chirashi spot has bowls of fresh fish for under $20, with make-your-own options as well as a set-menu -- not to mention handrolls with the perfect balance of fish, rice, and veggies, as well. A valley mainstay for decades in both its old location and after its move to Lankershim, Chiba is the type of sushi place where, once you’ve come a few times, Chef Shig will remember you, and start digging deep into his fish for more and more exotic options. And while you’re becoming a regular, you’ll love basic standbys like albacore, scallops, and much more. Go west (and then keep going west... seriously, keep going) for this neighborhood favorite, which boasts hour-long waits of locals (and Kardashians!) 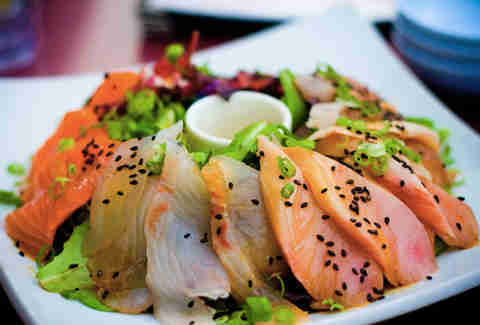 sick of horseback riding and craving some of the best raw fish dishes in (far west) LA county. Specialties include a squid dish stuffed with crab that’s both towering and delicious, and a spicy tuna rice-cake that doesn’t skimp on either. Come hungry. Jeff Miller probably-definitely has mercury poisoning. It was worth it. See more pics at @jeffmillerla on Instagram and @thrillistla on Twitter.